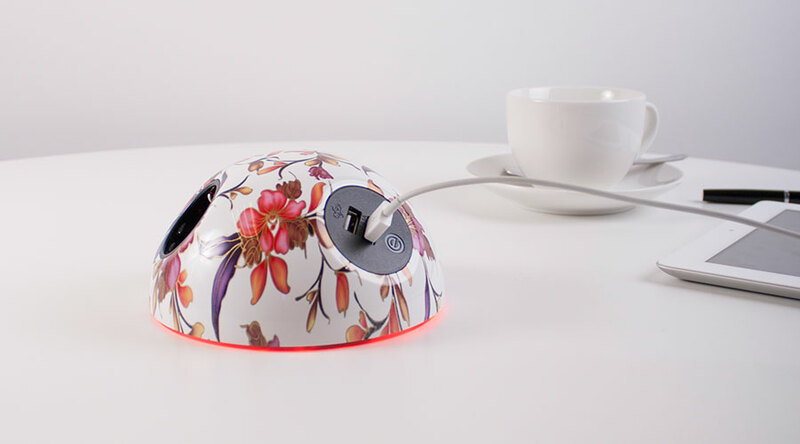 PLUTO satisfies a demand for power and data connectivity, in informal spaces, in a way that no other module has done before. 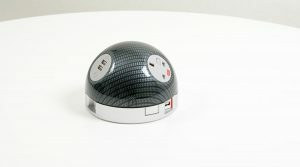 Perfectly suited to breakout areas, smaller meeting rooms, public spaces and anywhere power is needed. 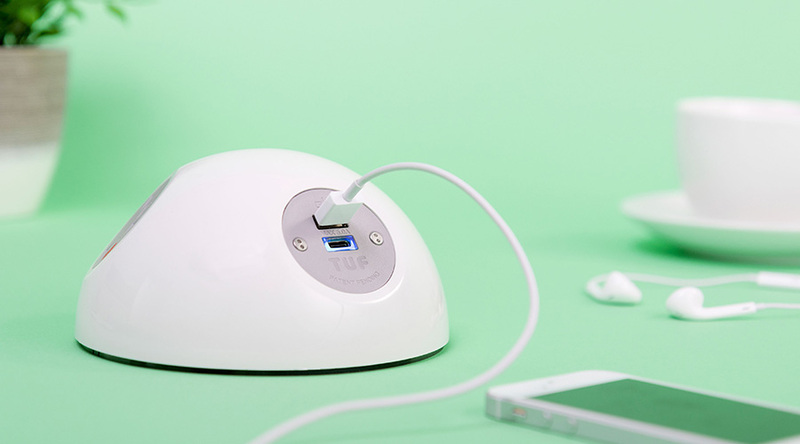 PLUTO makes sharing power a pleasure. 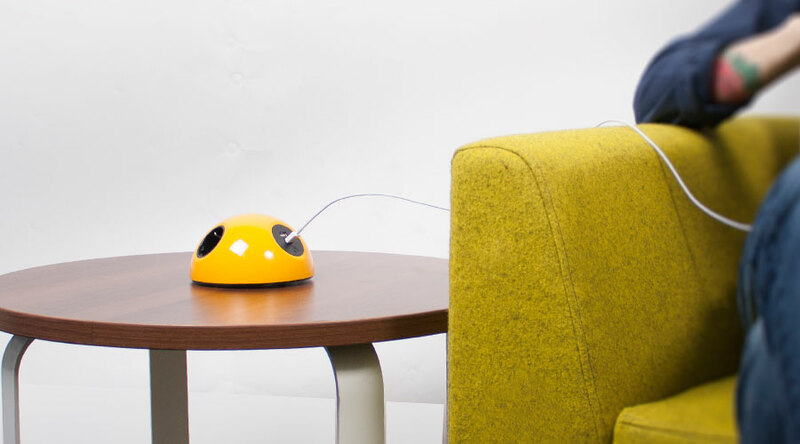 Studies show that people work far more effectively in pairs and small groups. 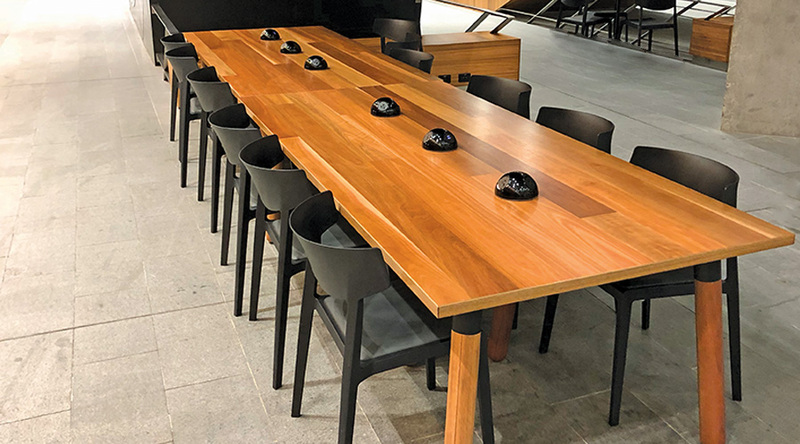 With over 25 years experience in the market, and as leaders in terms of design and practicality, OE Elsafe have developed Pluto to match our customers’ desire for a solution that fits these new ways of working. 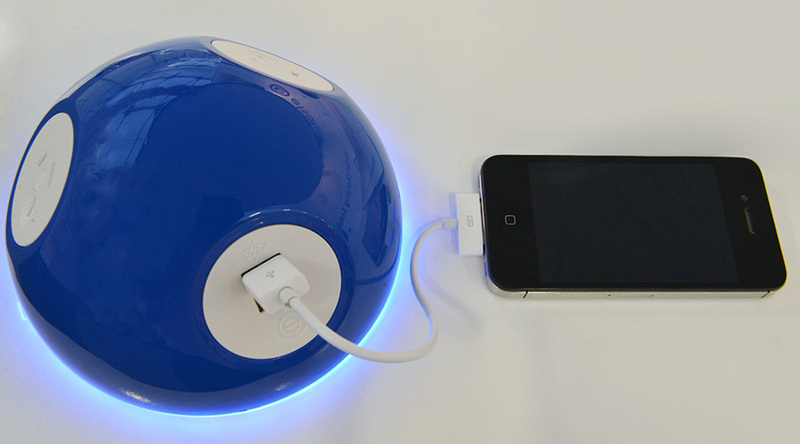 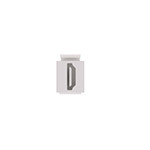 With 3 outlet positions, PLUTO is perfect for a small team to power/charge their devices using conventional mains plugs. 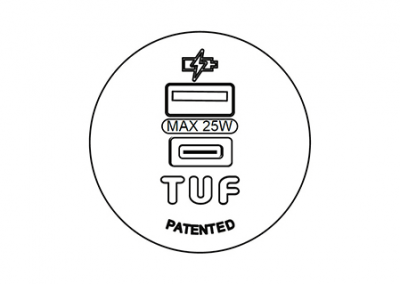 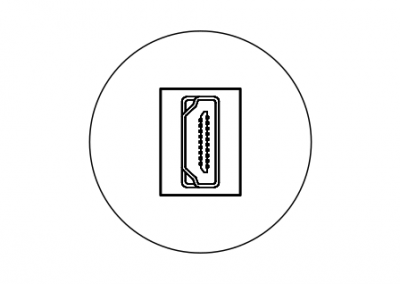 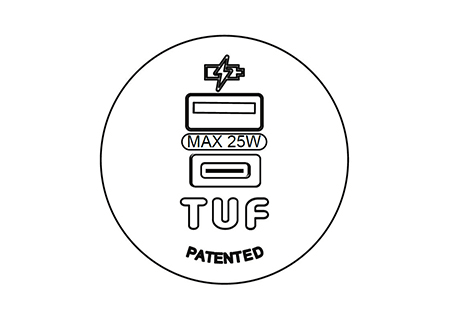 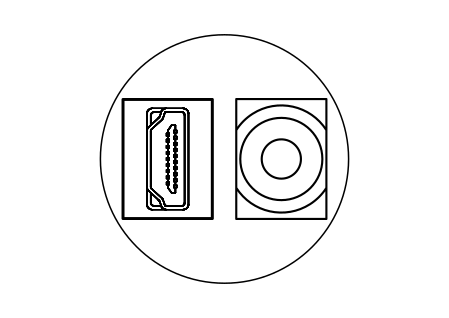 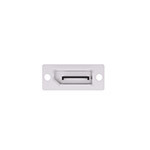 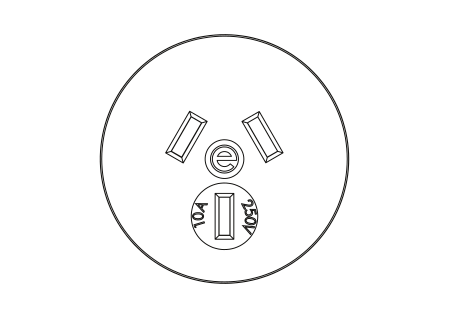 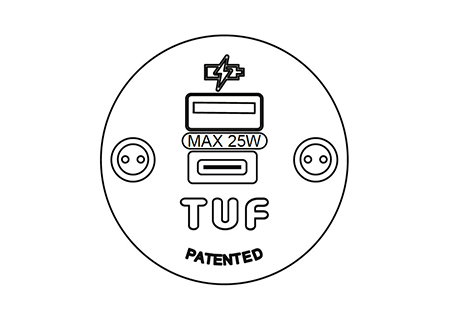 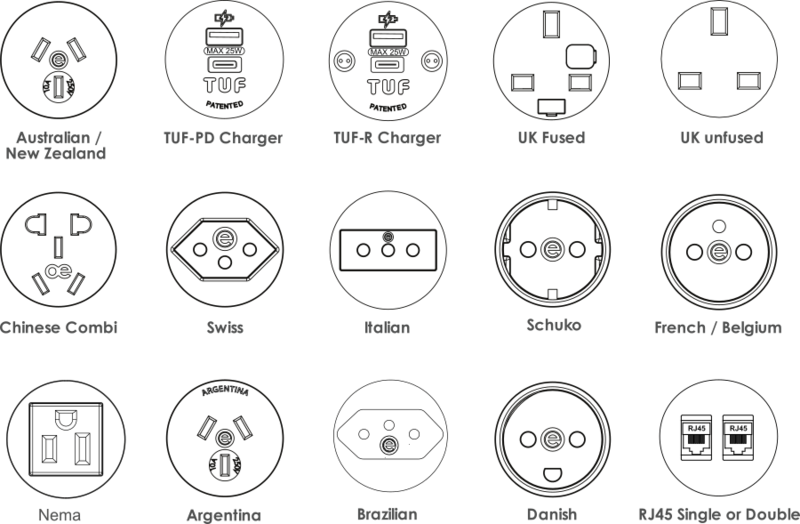 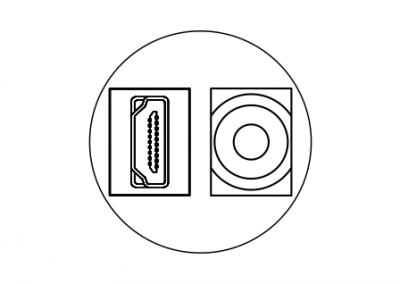 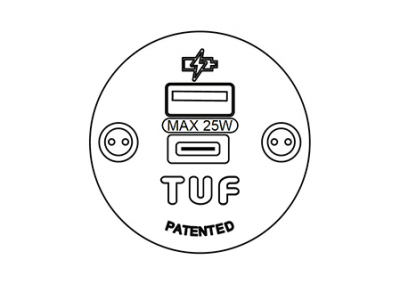 PLUTO’s 3 socket outlets may be configured with acombination of power, data/AV and USB charging including our class leading TUF A+C: Twin USB Fast charger. 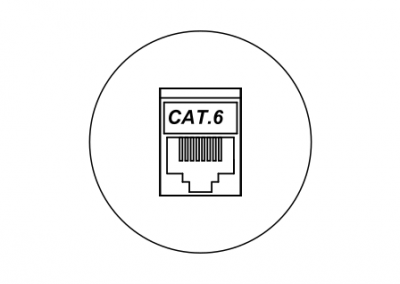 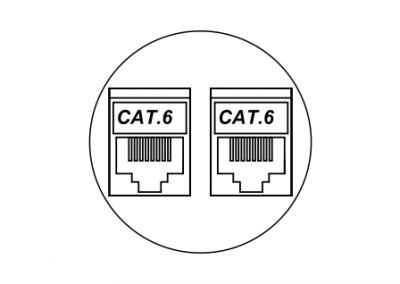 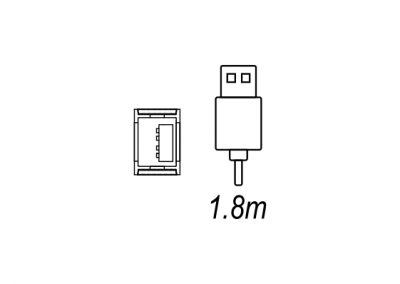 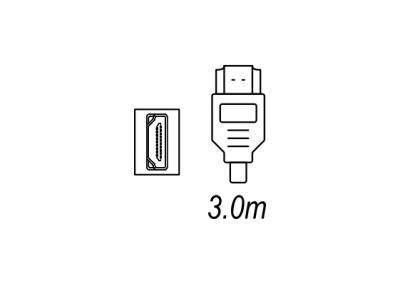 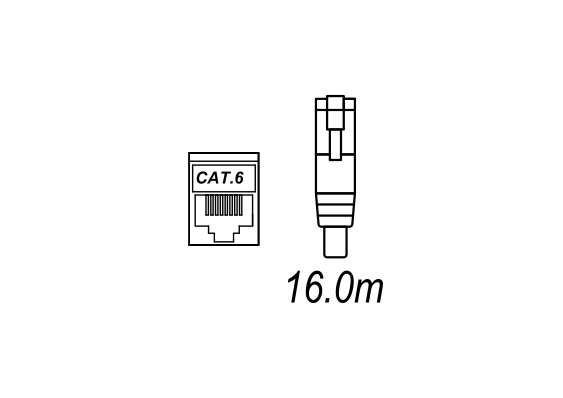 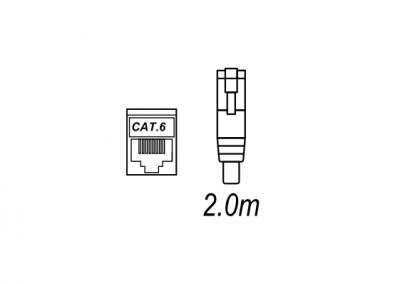 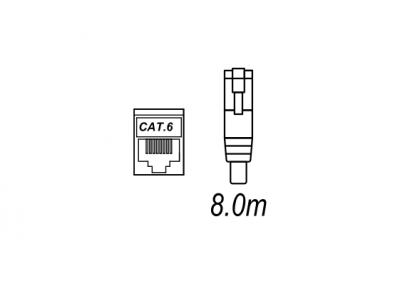 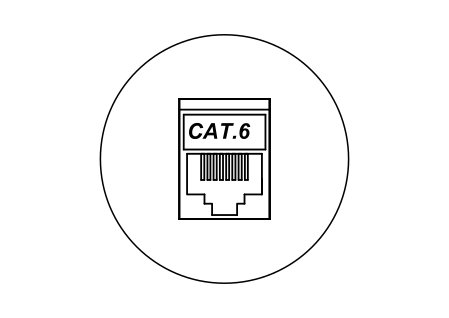 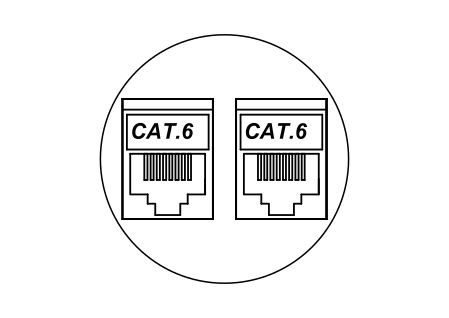 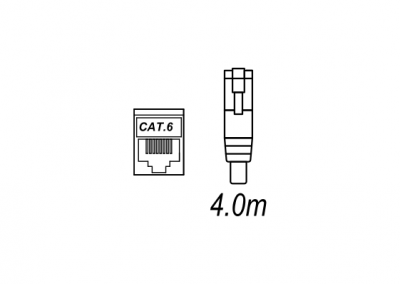 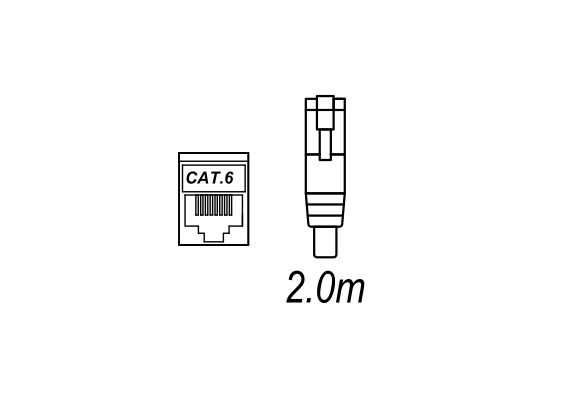 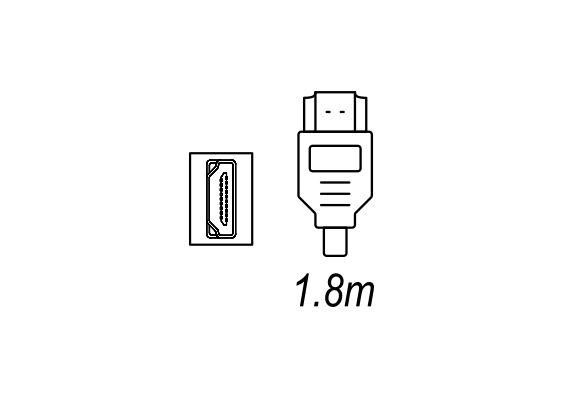 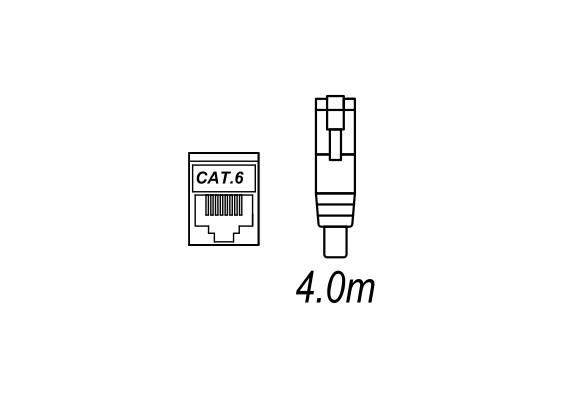 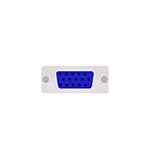 The optional Pluto data cartridge provides up to 5 Cat5e, Cat6, Cat6A data, USB, HDMI, VGA and sound connections. 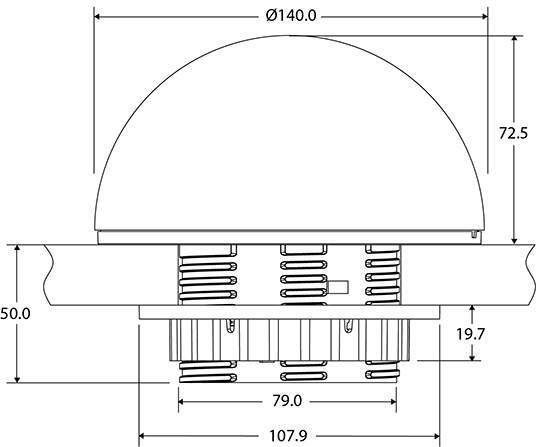 High strength 5VA fire retardant “Lexan 943” polycarbonate enclosure. 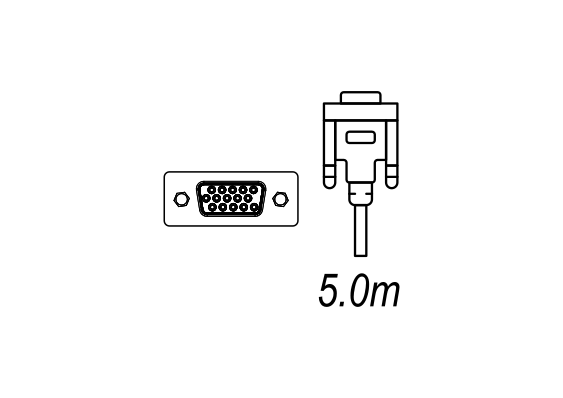 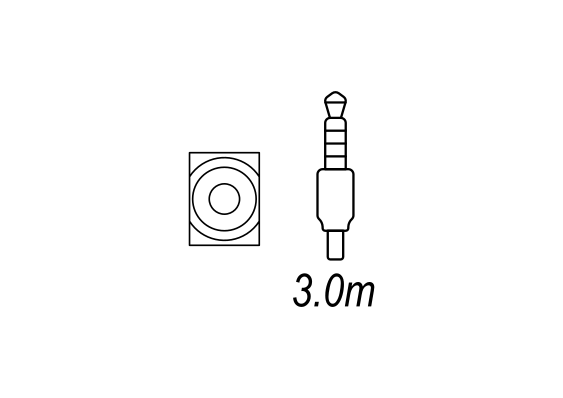 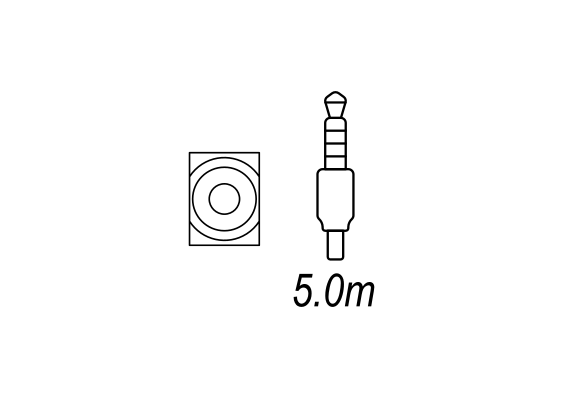 Base power cord entry PLUTOs are supplied as standard with the “clamp 80” kit for secure mounting to an 80mm grommet hole. 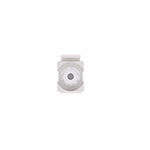 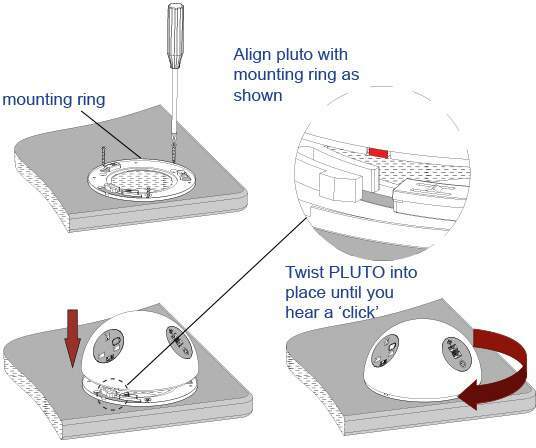 For screw fixing Pluto can be ordered with just the bayonet mounting ring. 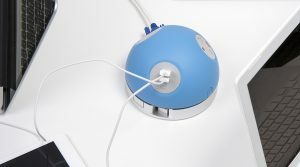 Side power cord entry PLUTOs are fitted with silicone rubber feet. 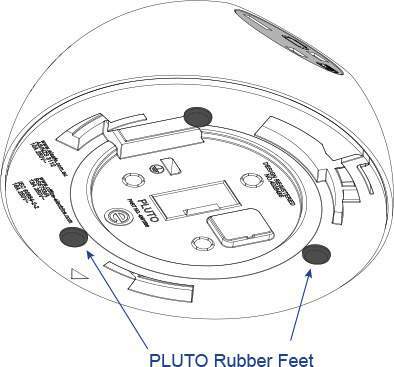 PLUTO has been designed from the outset to provide connectivity, in many guises, to suit the environment in which it is required. 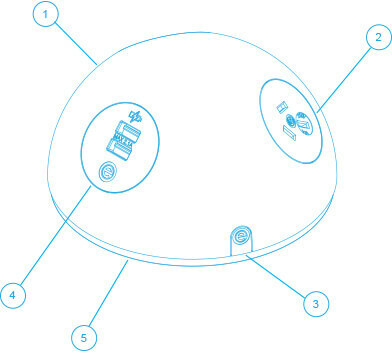 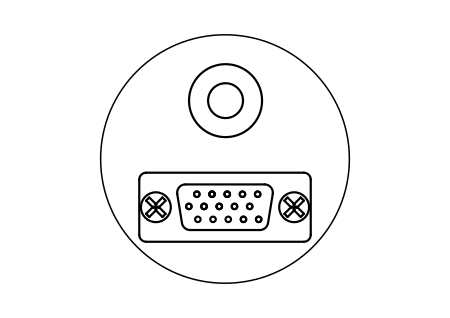 As a hemispherical dome, PLUTO can be fixed over a 60mm/80mm grommet hole in the furniture to provide a seamless touchdown solution with no visible cables. 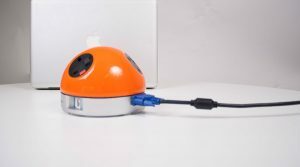 It has also been designed with a side power cable exit so that it can be used as a very informal, but design led, mobile power outlet that can be moved across the work surface to the user in most need. 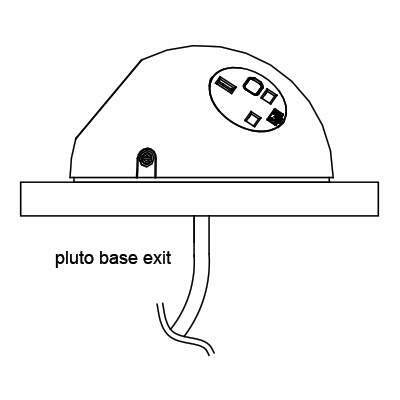 PLUTO has been designed from the outset to provide connectivity, in many guises, to suit the environment in which it is required. 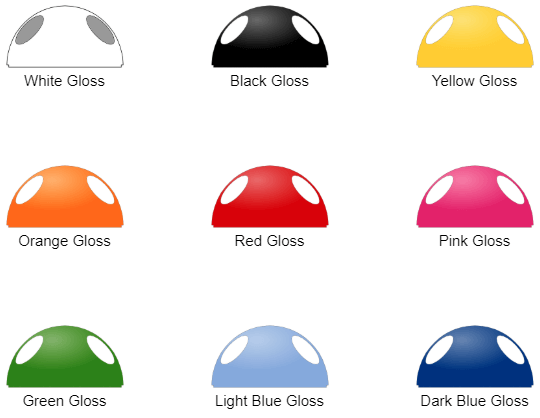 PLUTO comes in either polished white or black gloss finish as standard, but is available in a number of other gloss colours. 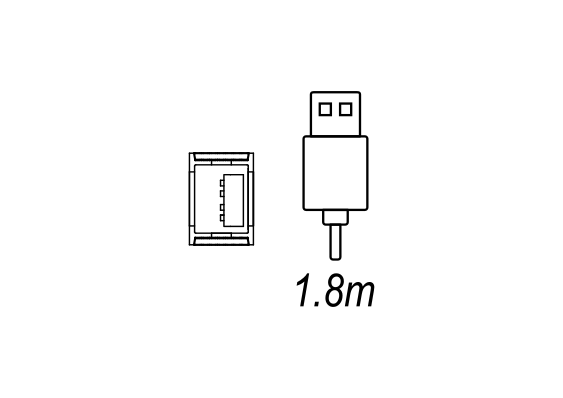 The Pluto Data Cartridge has been designed to add additional data and AV connectivity to the standard Pluto power module and is thus an exciting new option for meeting tables where a traditional in-desk unit is not suitable. The Pluto Data Cartridge simply bayonet fits to the Pluto base and therefore can be supplied pre-fitted to new Pluto’s or for retro fitting to existing units. 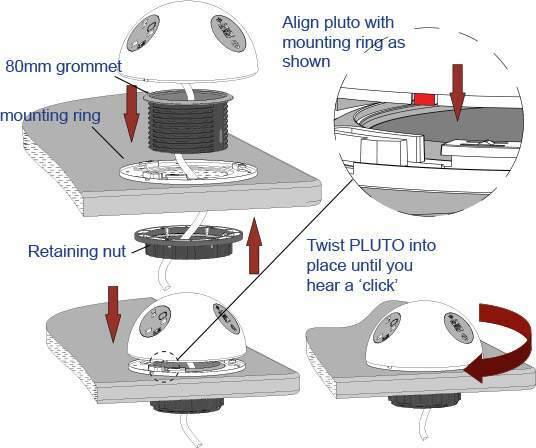 Just like the standard Pluto, a Pluto with the Data Cartridge fitted simply clamps into an 80mm grommet hole without the need for tools. 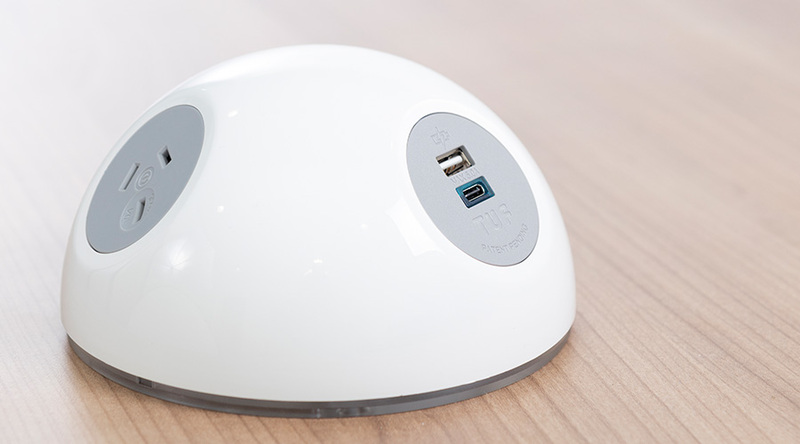 The Pluto Data Cartridge is finished in satin silver textured paint finish which contrasts well with both the standard white Pluto dome and our wide range of Pluto optional colours. – 3 x Keystone apertures for any combination of Data, USB, HDMI, Sound.